Glen Echo Group has brought on Heather Janik as VP. She joins the firm from hunger charity Feeding America, where she led thought leadership and media relations efforts. Prior to Feeding America, she oversaw communications efforts for the nonprofit Council for a Strong America. She also served lead spokesperson for homelessness under former New York City mayor Michael R. Bloomberg and has worked as a producer for Fox News. During George W. Bush’s presidency, Janik was deputy press secretary for the White House Office of National Drug Control Policy. 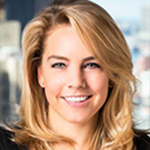 Sloane & Company has promoted Erica Bartsch to managing director. Bartsch has been with Sloane since 2008, most recently as a senior vice president. Before coming to Sloane, she was a sell-side analyst at Rochdale Securities. At Sloane, Bartsch has served as an advisor on various high-stakes matters for a range of companies and organizations, providing strategic counsel and messaging support around quarterly earnings, initial public offerings, mergers and acquisitions, crises and other investor relations engagements. In her new position, she will continue working with Sloane’s investor relations practice and lending her expertise to the agency’s special situations capabilities. In addition, she will play a greater role in helping to determine the direction of the agency in the years ahead. Cyber security company Symantec Corp. has appointed Debora Tomlin chief marketing officer, effective Feb. 22. 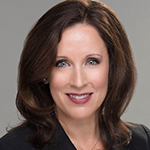 Tomlin comes to Symantec from CSAA Insurance Group, where she has served as EVP, chief marketing and customer officer, leading all aspects of marketing, customer experience and data strategies. 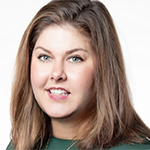 Prior to CSAA Insurance Group, she held several senior leadership positions at Capital One Bank, including vice president of brand marketing, and has also served as senior marketing officer and head of corporate branding for USAA Insurance Company. At Symantec, Tomlin will oversee the company’s global marketing organization and report directly to Symantec president and CEO Greg Clark.